Data centers may need to build (or adapt) infrastructure that's flexible enough to accommodate challenging workloads, such as a big data initiative, distributed applications, or even the Internet of Things. How do data centers prepare for the complications of projects of this scale? 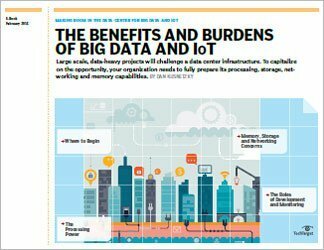 What problems do IoT or big data create for the data center? 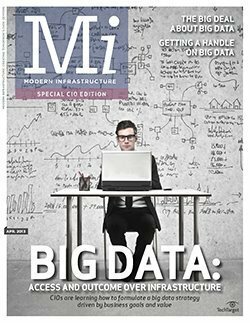 This e-book series addresses these questions in detail, focusing on the infrastructure necessary for big data and IoT. Special attention is paid to the storage and networking requirements. An organization that's serious about implementing big data or IoT projects will need to consider what demands those undertakings will place on data center infrastructure. Given the value of predictive analytics, for example, corporate leaders may be pushing their organizations to implement big data projects. How, though, do IT teams make those things happen? There simply isn't a consensus about the required infrastructure for IoT or big data projects. Certain projects will consume vast amounts of resources while others will be more manageable. 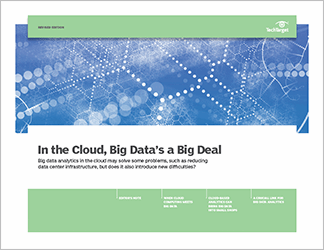 This chapter explains how to develop a big data plan and how to build or adapt an infrastructure that's flexible enough to accommodate both big data and IoT initiatives -- without going too far overboard. Capturing and capitalizing on vast amounts of data about customers and products can help a business adapt and even thrive. But implementing big data or IoT means creating or adjusting IT resources to handle the burden. 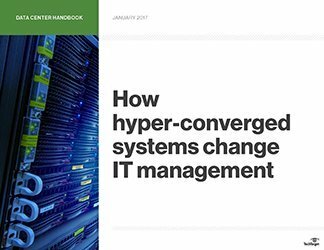 With these emerging IT workload types, storage takes on a critically important role. But can a single storage system do the job? A business will need to determine the types of data its IoT and big data projects will collect. Gathering many tiny data files that arrive simultaneously, for instance, will not require the same type of storage that collecting fewer, larger files will. Object storage for big data and IoT may be the answer in certain situations. Other conditions might call for a network file system, Fibre Channel or other types of resources. Making the right decisions when it comes to storage will be an important factor in determining whether an IoT or big data initiative succeeds or fails.